After the opening weekend’s big weight extravaganza, anglers were unsure whether the River Avon’s bream shoals would feed for a second consecutive week. With the river still carrying a touch of extra water and a healthy tinge of colour, a number of species fed well, but the bream were conspicuous by their absence. Leading the field with a 10-6-8 net from peg 35 was Brian Rigby. Drawn on the famous confluence with the River Isbourne, Brian attacked his peg with stick float and maggot tactics, fishing down the middle of the river. A heavy, 8xNo4 lignum stick was used to give good presentation in what was quite an awkward wind, and by using a total of five pints of maggots to feed his peg aggressively, Brian tempted four good chub and some smaller samples for a 10-6-8 total. In second place from peg 10 was Darran Bickerton. With the knowledge that his peg had produced tench the previous weekend, Darran put his faith in a chopped worm and caster approach, fishing down towards a marginal lilly bed. His decision proved profitable, and two good tench and a handful of smaller perch gave him a 9-13-0 total. In third place was Tom Smith. 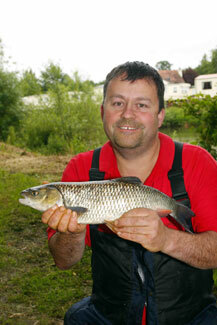 Tom caught a mixed net of chub and dace on stick float and waggler tactics. 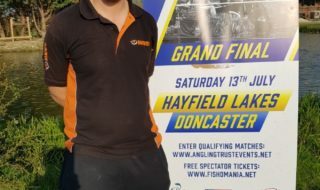 With just one team place up for grabs in the prestigious Match Fishing Team Championship Final taking place on August Bank Holiday Monday, this qualifying match was always going to be an intensely fought battle. Coming out on top on the day was local side Sensas WB Clarke Superteam. 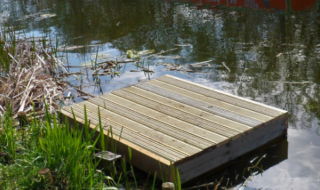 They came to the river harbouring a small fish plan, intending to target bleak short and fish a maggot feeder two thirds of the way across the river. As the day unfolded, it was big fish that helped them to win however. Drawn on peg one, Steve Maher put together a match winning 18-4-0 net of bream on groundbait feeder tactics, while John Price caught a 6lb barbel to boost him up to a section win and 5th individual on the day. Their man in the bottom section, Terry Parrott was also boosted well up his section thanks to a big eel in the closing stages of the match. 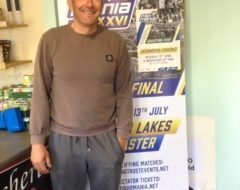 With their other team members, Mike Bedder and Jason Cooke returning with good nets of small fish, the team romped to an emphatic victory, finishing 13 points clear of second placed Alcester Sports. In the indivual stakes, Maver Midlands rod Jon Arthur claimed second spot with a 10-12-0 net of hybrids. Jon attacked his peg with groundbait on the long pole, before running a 3g rig over the top with maggot on the hook. He ended up with 21 hybrids and nine roach for a 10-12-0 total. In third place was Bidford rod Steve Hemming, who caught a good bream on groundbait feeder tactics and some small fish to weigh in with 8-14-0.